They are gods to other men, but he is GOD to them. He lends them his name, and this is their authority for acting as judges, but they must take care that they do not misuse the power entrusted to them, for the Judge of judges is in session among them . . . There must be some government among men, and as angels are not sent to dispense it, God allows men to rule over men. However, there are a number of pointers which suggest a different interpretation—that God, in the setting of a “divine” council, is condemning angelic beings for their poor superintendence over the nations of the earth. As evidence for this latter view, the word translated “gods” in the ESV is the Hebrew elohim, a word used to describe divine beings and used both of the one true God (Genesis 1:1) and of generic divinities such as angels (Psalm 8:5) and pagan deities (Judges 11:24). It is sometimes used of humans (Exodus 4:16, 7:1), though in a metaphorical sense (Moses was like God to Pharaoh because He spoke on behalf of God). It is also worth noting passages in the Old Testament where angels are referred to as sons of God (as in verse 6), such as Job 1:6, Job 38:7, Genesis 6:2, and Deuteronomy 32:8. This word usage suggests that divine and not human beings are likely in view. “The real problem with the human view, though,” according to biblical scholar and Semitic languages expert Dr. Michael S. Heiser, “is that it cannot be reconciled with other references in the Hebrew Old Testament that refer to a divine council of elohim.”3Heiser, M. S. (2015). The unseen realm: recovering the supernatural worldview of the Bible. Bellingham, WA: Lexham Press. Kindle edition. For instance, Psalm 89:5-11 gives a parallel description of a scene wherein a congregation of holy ones are gathered about God. That Psalmist likewise informs us that none can compare to the Lord; that He has the power to crush the gods of the nations because both heaven and earth are His to take. Heiser notes that in this passage, “God’s divine council is an assembly in the heavens, not on earth.”4ibid. Similar scenes of divine beings presenting themselves to God are described in the first few chapters of Job; 1 Kings 22:19-23 likewise presents a heavenly council scene with similar imagery. Finally, the notion of divine beings presiding over the nations of the earth is found in Old Testament writings as early as Deuteronomy (“When the Most High gave to the nations their inheritance, when he divided mankind, he fixed the borders of the peoples according to the number of the sons of God”5Deuteronomy 32:8, ESV) and as late as Daniel.6See Daniel 10:10-14 It is clear, therefore, that this divine council is truly made up of divine beings and not human ones. Having established the identities of the players in this Psalm, let us turn to its relevance for final judgment. The ultimate fate of these rebellious angels is capital punishment—death (this is the standard Hebrew word for death, “moot,” used in the Old Testament nearly 1,000 times). 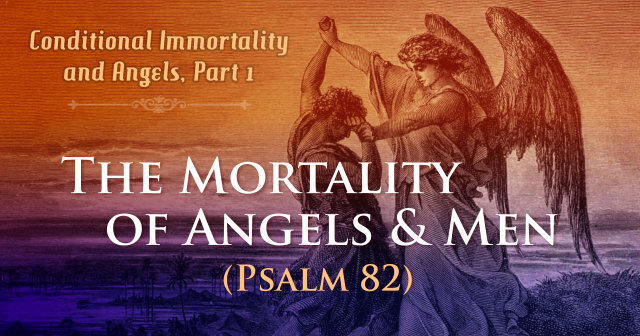 This is an odd turn in the text because unlike humans, death is not a natural part of the life cycle of angelic beings; and yet for those angels which have behaved wickedly, it will be their inevitable end. The Psalmist uses a simile to create a picture in the minds of his hearers of what this will entail. Though these beings are divine in a general sense, and therefore not susceptible to the fragilities of human experience, they will nevertheless die just like human beings do. What, then, does it mean for humans to die? Does it entail the cessation of bodily life despite an ongoing spiritual existence? If we take the traditional view of the angelic nature—that it is spiritual and not material—then this fails to serve as a meaningful parallel for the Psalmist to use. Indeed, what the writer must have in mind is how death appears to human observers: the cessation of personality, knowledge, and experience. Another Hebrew writer, the author of Ecclesiastes, muses that, “the living know that they will die, but the dead know nothing” (Ecc 9:5, ESV). Therefore, it is the fate of rebellious angels to meet utter destruction—to be annihilated. The New Testament tells us that this destruction will take place through the means of a consuming fire which unredeemed humans will likewise take part in after the resurrection of the dead:7See also Revelation 20:10-15, where both Satan and the lost are thrown into the lake of fire. In other words, the same fate awaits both fallen angels and unredeemed men and women—the lake of fire. If this fire will destroy wicked angels, who are not prone to human frailties such as natural death, how much more destructive will it be to human beings? 3. ￪ Heiser, M. S. (2015). The unseen realm: recovering the supernatural worldview of the Bible. Bellingham, WA: Lexham Press. Kindle edition. 7. 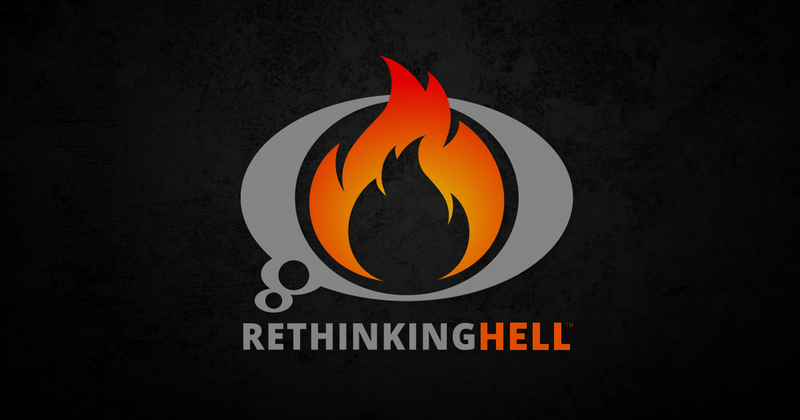 ￪ See also Revelation 20:10-15, where both Satan and the lost are thrown into the lake of fire.